Let’s hear it, for once, for our politicians. It’s not every country that has a Finance Minister with the good sense to recognise a policy dead-end when he sees one and with the courage to try to do something about it. The mere prospect of a discussion about a mortgage interest levy is enough to send some people into a panic attack. Those who are ready to consider more complex solutions to difficult problems will always be easy targets for the self-interested and short-sighted. But most thoughtful people will accept that an informed debate about possible alternatives to current orthodoxy is long overdue. Spare a thought, for example, for Alan Bollard and the plight in which the Reserve Bank governor finds himself. He is like a doctor who prescribes a drug to treat a fever, only to find that the treatment is less and less effective in controlling the fever, but more and more damaging to the patient’s overall health. What is he to do? Does he continue with the drug, and risk long-term damage to the patient, or does he seek a different and more effective treatment? Most commentators now expect that a commitment to monetarist orthodoxy will require an early hike in interest rates. This can only be regarded as a counsel of despair. The outcome of such a step is all too predictable – an inflow of “hot money” producing a further rise in an already over-valued dollar, a further loss of productive capacity, a further (and unsustainable) worsening of our current account, and the certainty that the day of reckoning, when it comes, will be terrible. Yet, for as long as current orthodoxy remains dominant, he has no other option. The across-the-board raising of interest rates is his only weapon, even though it is increasingly ineffective and increasingly damaging. We do not need to look far for the reasons. Much is made of the high proportion of New Zealanders with fixed-rate mortgages who are therefore insulated against the immediate effects of rate rises. I believe, however, that the problems are more deep-seated than this. The New Zealand economy is now, as most commentators recognise, and as a consequence of decades of monetarist orthodoxy, seriously out of balance. The reality (and when not actual, the prospect) of an overvalued currency has meant increasingly a low-productivity, low-profit productive sector. The housing sector, by contrast, has been buoyant and a much more attractive prospect for investment. That has produced its own momentum. The higher house prices go, the more convinced people are that housing is the best investment, and the buoyant demand pushes house prices higher again. In this scenario, interest rate rises are not only unhelpful to the counter-inflationary battle. They threaten to make matters worse. They raise the costs of building and buying houses, but so buoyant is the housing market that that cost increase is painlessly absorbed into the price structure, and provides a further fillip to rising prices. If Alan Bollard is to bring that process under control, he will have to raise interest rates to dizzying levels, sufficient to stop economic activity dead in its tracks. The price for relying on across-the-board interest rate hikes in order to control inflation is, in other words, a further and debilitating blow to the health of our overall economy. Those who are already squealing at the (still remote) prospect of new measures like a mortgage rate levy should recognise, in other words, that the alternative to new thinking is not “do nothing”. The only other option is a general rise in interest rates, which will still raise mortgage payments for home-owners, but will also threaten economic activity on the grand scale. Those who fear for their homes will have to look to their jobs as a well. It is very much to the credit of Michael Cullen and Alan Bollard that they have had the intellectual and political fortitude to think the hitherto unthinkable. New Zealand is probably the first advanced country in the world to have first committed itself to monetarist orthodoxy, then tested it virtually to destruction, recognised its limitations, and then dared to contemplate better ways of doing things. No one is saying that monetary policy should be abandoned as a counter-inflationary instrument. 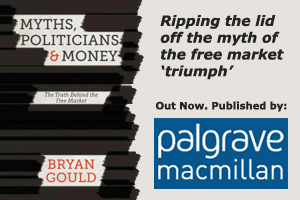 But the old simple certainties – that controlling the money supply through regulating its price was an effective and painless way of controlling inflation – have now been fatally undermined. A mortgage interest rate levy may or may not prove to be useful, but selective measures and fiscal policy will surely now play a larger role. A new era has begun.